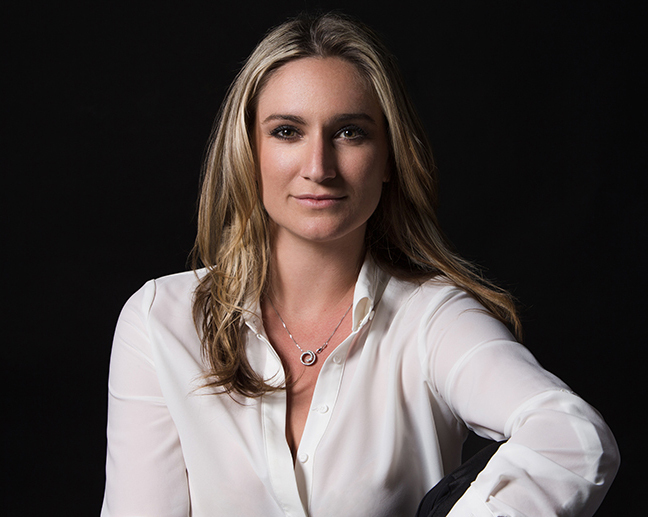 Ashley Avis is an American director, screenwriter, and producer of three feature films and over 100 commercials and branded content spots to date. Ashley’s work has been called "timelessly romantic" (White Lies Magazine), "innocent, blending innocence with seduction" (Red Hot Society), and “elegantly sensual” (Elite Daily). In 2016, Ashley had her feature film debut with DESERTED, an artistic psychological survival story that she also wrote, starring Mischa Barton, Winter Ave Zoli, and Jake Busey. Her second feature, the coming of age story ADOLESCENCE will be released in 2019 and stars India Eisley, Tommy Flanagan, Elisabeth Rohm and Jere Burns. Her next film projects include writing and directing the modern day reprisal of BLACK BEAUTY for Constantin Film / Bolt Pictures, the tragic love story TRANCAS by Lem Dobbs (Romancing the Stone, The Limey), and producing the sci-fi thriller SLEEPLESS based on the novel by Charlie Huston alongside David Winkler / Winkler Films. Commercially she is known for her long form narrative work, and has directed projects for clients like Coca Cola, Red Bull, Footlocker, Mercedes-Benz, Chevrolet, Pfizer, The Cali Group, and more. In 2016, she won the Mercedes-Benz Award for the auto-fashion fusion spot BESPOKE in Cape Town, and in 2018 she directed the 14-part "Goalkeepers" campaign for Chevrolet featuring noted Olympians such as Mia Hamm, Laurie Hernandez, and Hilary Knight encouraging young women to stay in sports. She is also an editor, cutting the vast majority of her commerical work. Ashley is the co-founder of Winterstone Pictures, and lives in Los Angeles near the ocean with her husband and producing partner, Edward Winters.